Everyone who has a pet knows that every day is a holiday. OK, maybe not the day that the dog broke into the trash or the cat coughed up into your shoe. Or the time that the parakeet pooped on the mouse wheel, and you didn’t notice until it was too late. Anyway, we celebrate the actual National Pet Day on April 11. Today is the day for you to spoil your furry, feathery, or scaly loved ones! So in honour of National Pet Day, here are eight pet Instagram profiles that we think are worth a follow! This dedicated crew is a no-kill animal rescue that helps abandoned, medically fragile, abused, animals. And they don’t stop at dogs either; they help cats, and horses, too. They offer dog training and provide ethical solutions for helping special needs animals. Plus, they have a lot of wonderful animals in need of homes, too, so be sure to check them out! This dog-loving family works hard to help break the stigma surrounding pitbulls with their beautiful, smart pup, Stella! Marika, Stella’s owner, does her best to help other animals in need, too. As a matter of fact, she features dogs who are looking for their forever homes, so check out her page! Ever see 3 guinea pigs and a pitbull live happily ever after together? Well, now you can say that you have – and trust us, this animal family is super-duper cute! If interspecies friendships warm your heart, give this page a follow! This family is full love… and a variety of rescued critters. From Moose the dog, to Juniper and Fig the foxes, the animals in this fam are always up to something! There’s a chinchilla named Herb, sugar gliders Petunia and Peach, a snake named Poet, and lizards, Trico and Rime. The family even fosters animals to help them find their forever homes! Maisie is a deaf, blind, double merle Aussie Shepherd mix. “Double merle” means that the dog’s multi-toned coloring is lighter than usual, and some parts of the skin might not have pigment at all. When a dog, usually an Aussie/Aussie mix, is “double merle,” they actually have a higher risk of becoming deaf or blind if they were not born that way. Maisie will show you that even dogs with “special needs” can live happy, full lives. This tortoise supports the tag #adoptdontshop and actually lives in New York City, so he’s basically cooler than most of us. Check out this adorable little guy and learn a few new facts about tortoises before National Pet Day ends! Smush is an adorable creamsicle-colored cat who loves bread and gives back to the animal welfare community anytime she (or more accurately, her humans) can! She’s an adorable rescue with the cutest little nose and an Insta to match. Check out this sweet little kitty today! In honor of the National Pet Day holiday, some lovely humans have come together to run an amazing organization that gives animals a second chance at finding loving homes. 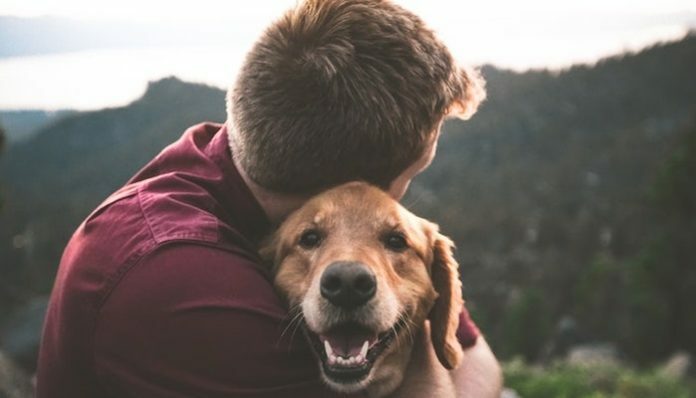 While this Instagram isn’t full of cute animals, this organization offers amazing ideas for spoiling your pets. They also provide great ways to give back to animals in need. Today, do a photo-shoot with your pet, buy them 10 new toys, or donate to a local shelter near you. There’s no stopping you! On this National Pet Day, be sure to take good care of your animal friends. They only exist because you love and care for them, so please, please, please, let them know that it’s their special day. We are sorry to say that National Pet Rock Day isn’t until September 2, but don’t worry, you can post an extra photo of your rock friends today, too. Happy National Pet Day! @joshdoodle should have been on your list. Please go and check him out. Josh is a special dog with lots of heart and his hoomans have just as much. They do all they can to help rescue dogs. They where all sent from heaven. There were so many accounts we wanted to include! We definitely want to write more articles and share more great accounts in the future. Thank you so much for sharing this awesome account, I hadn’t heard of them before but I’m happily following now!